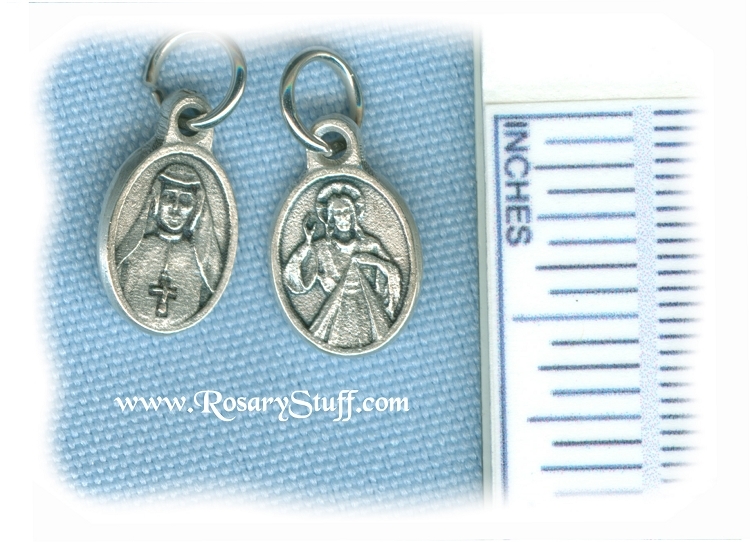 This Italian silver plate St. Faustina/Divine Mercy medal is about 1/2 inch tall (not including the top ring). For more information on Sister Faustina and the Divine Mercy please click here. To help with size clarification, it is pictured next to a ruler showing inches as well as millimeters. The price is for 1 medal.